Are you looking for an easy-to-use Swimming Pool Chlorinator that will simplify Swimming Pool Maintenance? Chlorine is one of the hardest components to get correct in above ground swimming pools. 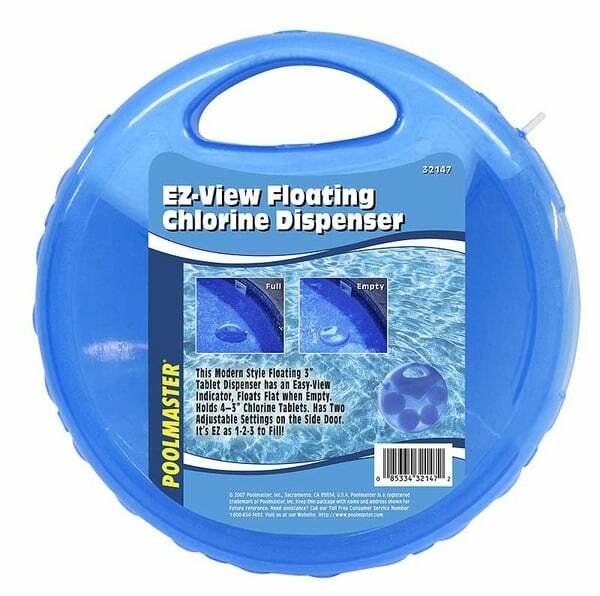 The EZ View Dispenser by Poolmaster can help. The dispenser floats in a swimming pool and delivers a measured, steady supply of chlorine. Normally, the EZ View foats in an upright position. When it's full of chlorine, it turns and lies flat to signal that it's due for a refill. Simply replenish the supply of chlorine and replace it in the water.